Icinga 2 is a feature “monster”. You can do so much more with it than just “check” and “notify”. 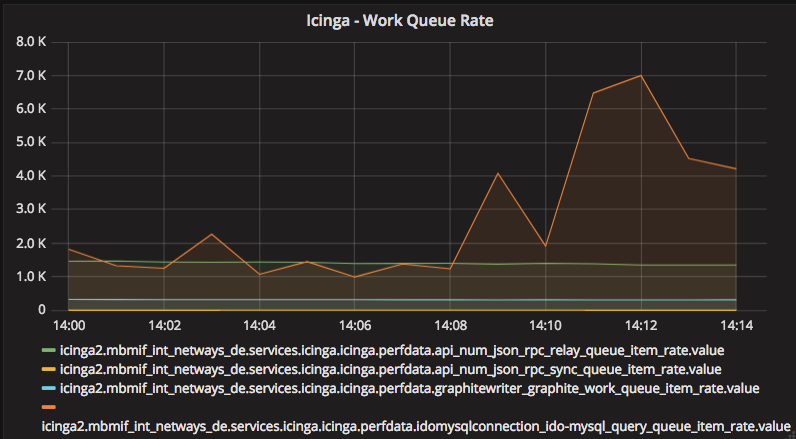 Forward your performance data into metric systems such as Graphite or InfluxDB, add the IDO database backend for beautiful dashboards in Icinga Web 2 or connect to the REST API and have Dashing present the latest stats in your office. After all, Icinga 2 runs as an application on your server and will suffer from outages, full disks, load and memory issues and what not. It shouldn’t happen but what if?